Choose from seven unique vehicle types that are custom built by their own leading manufacturer, Talvor Motorhomes. The campervans usually remain in the fleet for a maximum of three years. * Excess of NZ$ 5,000 applies for Hitop, Endeavour Campervan and Vivid Camper vehicles; NZ$ 7,500 applies for all other vehicle types. The interior of the vehicle is expected to be in a clean state at drop-off time, otherwise fees of up to NZ$ 500 will be charged. The toilet and waste water tank must be emptied prior to the return of the vehicle and all fuel tanks (i.e. petrol, diesel and gas) need to be full, otherwise a further fee of NZ$ 150 will be charged. All vehicles must be completely free of mud. Smoking is not permitted in any of the vehicles or a cleaning & deodorising process will be necessary at a fee of up to NZ$ 300. With your travel documents you will also receive the internet link below which enables you to complete your online pre-registration in advance. You can use this form to complete all necessary details such as booking number, name etc. for Apollo so that they can prepare your rental agreement in advance of your arrival and have it ready for you to sign as soon as you arrive to pick up your vehicle. 5% off the daily rental rates for hires of 21 days and more. The discount does not apply to the All-Inclusive option only to the standard rates. One rental day corresponds to one calendar day, regardless of what time you pick up or drop off your vehicle. The flex rate that is available at the time of booking for the first rental day determines the daily rental rate for the entire rental period up to the 7th day. Every rental day from the 8th day on are counted as a new booking and the flex rate that applies for the 8th day will be used from then on. The flex rate that applies for the 15th rental day will be used from then, etc. To find out which flex rate is currently valid for the vehicle you are interested in, just click for a price calculation for the desired rental duration and the lowest available price will be applied. The flex rate is calculated by the rental company on the basis of supply and demand and is adjusted every Friday. The booking is calculated by using either the original flex rate or the flex rate at the time of the booking change, depending on which rate is higher. The following situations are classified as booking alterations. If you decide to extend your hire by 2 days and this is approved (a change of drop-off date, not location or vehicle) the additional rental days will be charged according to the flex rate that applied when the booking was originally made. From 3 days or more the normal rules regarding changes apply as outlined above. If a change is made to your booking within 14 days of the pick-up date no rental days will be refunded if the hire is shortened. All rental days will be charged as originally booked. If the vehicle is collected later than the pick-up day booked, or returned earlier than booked, no refunds will be provided. There are also no refunds for rental date changes or if the rental duration is shortened within 14 days of the pick-up date. One-way rentals are available between all New Zealand depots and in all vehicle categories if requested in advance with your booking. Therefore a one-way fee of NZ$ 150 applies which is payable locally. For multiple hires within one holiday period, the cheaper long-hire discount applies off the standard rates for all rental days but the one-way fee is still charged separately on a per-rental basis. Apollo also offers an Extended Roadside Assistance for NZ$ 7 per day (max. NZ$ 175 per hire) which covers damage to 1 windscreen and 2 tyres in additon to the inclusions mentioned above. Please note that basic Roadside Assistance is always included in your rental package. In case of a breakdown, you will receive assistance even if you do not buy supplementary Roadside Assistance. However, the extra services listed above are only available if you purchase supplementary Roadside Assistance coverage and will incur at minimum a NZ$ 100 call-out fee with the standard program. Children up to the age of 7 or weighing 26 kg or less are legally required to be seated in a baby or booster seat in New Zealand. These seats are available for rent for NZ$ 35 per seat/hire. If you require a baby or booster seat, please let us know the child's age and weight when you book. If you book the All-Inclusive option with us, these seats are included in the total price. For important information on this subject please refer to the section Equipment & Extras. For any amounts payable locally, the GST tax of NZ$ 15% is charged on top of the price. We have sought to provide this information as accurately as possible. However, we cannot accept responsibility for any changes such as new additional fees charged by the rental company at pick-up time or sudden local tax increases that may be made by the New Zealand government. The standard insurance with insurance cover up to NZ$ 5 million and an excess of NZ$ 5,000 per incident for the Hitop, Endeavour Campervan and Vivid Camper / NZ$ 7,500 per incident for all other vehicles is included in the rental rates. This provides cover for damage to the rental vehicle or to third-party property. The renter and passengers are not insured for bodily damage to themselves as there is no passenger insurance provided by Apollo. The renter's excess that comes with the standard insurance is NZ$ 5,000 or NZ$ 7,500 per incident for any property damage incurred by a third party or the rental vehicle, regardless of how the damage occurs or who causes it, which includes accidents that are no fault of the renter. For a list of uninsured incidents please refer to 'Insurance Exclusions' below. In New Zealand, third-party insurance is not compulsory. Therefore, in the event of an accident involving an uninsured driver or if a third party flees the scene of an accident the renter will be liable up to the level of the excess even if he/she is not at fault. You can reduce or eliminate the excess as follows. **The amount of the excess/deposit of NZ$ 5,000 is valid for vehicle types Hitop, Endeavour and Vivid Camper, the amount of NZ$ 7,500 for all other vehicles. The respective excess is payable for any damage to the rental vehicle, to third party property, in the event of theft, fire, break-ins, vandalism as well as loss of revenue incurred by Apollo if the vehicle is unable to be rented out due to necessary repairs. *Tyre damage or damage to the windscreen will need to be paid by the renter in full unless the 'Liability Reduction Option 2' or the All-Inclusive option has been purchased. With Option 2 (VIP Cover) 1 windscreen and 2 tyre repairs are covered, but any further costs beyond that (e.g. 3rd spare wheel) are not covered and need to be paid by the renter. Regardless of any additional insurance option the renter is responsible for any damages to the awning of the vehicle. Underbody and overhead damage is only covered if you book the All Inclusive Option with Motorhome Bookers. With the All Inclusive Option booked in advance with Motorhome Bookers, unlimited windscreen (with Vivid Camper only 1 windscreen) and tyre damages as well as underbody and overhead damages are covered. There is no insurance cover whatsover if the vehicle is wilfully damaged, damaged due to negligence on the part of the rental party or due to illegal activities or forbidden activities as per the rental agreement. Please refer to the section 'Insurance Exclusions' below for further details. With the standard insurance the deposit (which covers the amount of the excess) is deducted from a credit card (Visa, Mastercard, American Express and Diners Club are accepted) at pick-up time. Pre-paid credit cards, travellers cheques or cash will not be accepted. The credit card holder must be present to sign for this and he/she is responsible for any damage to the rental vehicle. The deposit can also only be provide by the renter and not split several ways between members of the travelling party. If you take Liability Reduction Option 1 (The Middle Road), the deposit of NZ$ 2,500 will be deducted from your credit card and fees of 2% will be charged on top of the deposit amount if you use Visa or Mastercard. For American Express or Diners Club fees of 4.5% will apply. These fees are non-refundable. If you choose the Liability Reduction Option 2 (The High Road) at pick-up time or you purchase the All-Inclusive Option with Motorhome Bookers in advance, the deposit of NZ$ 250 will be charged. If the vehicle is returned without damage or third party incident the full amount of the deposit will be reimbursed. The refund can take up to 14 working days. Any changes in foreign exchange rates or fees are borne by the renter. All credit card deductions are made in New Zealand Dollars. Neither the rental company nor the tour operator is liable to make up any differences that occur between the cost of a deducted deposit and the reimbursement which result from foreign exchange fluctuations or external fees. The deposit will be reimbursed in full as long as the vehicle is returned in the same condition in which it was collected and with full petrol/diesel and gas tanks. The rental company reserves the right to charge a cleaning fee if the interior of the vehicle is excessively dirty at drop-off. The toilet and waste water tank must be completely empty, otherwise a further fee will be charged. Please refer to the section 'Miscellaneous' / 'Post-hire Cleaning' for further details. In the event of damage to the rented vehicle or to property of a third party a new deposit will be taken in order to cover any further separate incidents of damage. If you booked the All Inclusive Option with Motorhome Bookers in advance and the rental vehicle is returned in the condition as mentioned above the credit card fees for Visa and Mastercard will be reimbursed. If an accident occurs the excess (in the form of the deposit provided at pick-up time) is banked in the first instance regardless of who is at fault and is owed to the rental company by the renter even if the damage was not caused by you and is refunded as soon as the rental company receives a payment from a third party. This can of course take some time. In New Zealand third party liability insurance is not compulsory. If you have an accident with an uninsured driver or the other person flees the scene of the accident you will be liable for the sum of the excess. The excess applicable for the insurance options mentioned above applies to each individual incident and not on a per-rental basis. If a second accident occurs, a further deposit of the same total will be payable. All insurance cover is null and void if the terms of the Apollo New Zealand rental agreement are breached. Any damage that is caused when the renter acts outside of the rental company conditions is not covered by the insurance. Any damage resulting from a violation of traffic regulations is also not covered by insurance. Any damage caused by the vehicle rolling over (single vehicle accident) or water and/or saltwater related damage where the renter is at fault is not covered by the insurance. The insurance does not cover damage in case of vehicle submersion, the vehicle being stranded in water, or resulting from driving on causeways or beach driving. A vehicle rollover is deemed to have occurred where damage to the vehicle results from the vehicle rolling or tipping to such a degree that any or all tyres lose normal contact with the road surface. - Activities that breach the rental agreement conditions or are against the law, e.g. driving under the influence of drugs or alcohol or dangerous driving (especially with regard to trailers and camping appendages). Here, the renter is liable for the full amount of damage caused either to the rented vehicle or to the property of a third party involved. - Costs that arise for towing and recovery of vehicles that have been stranded or submerged as a result of the driver's negligence. - Personal property that is damaged in an accident or is either stolen or damaged during theft is also not insured. Whilst we appreciate accidents may occur, there are also clearly cases of driver negligence where any insurance coverage is voided. This would include incidents where the driver is found to be in breach of the law in terms of speed, alcohol, drugs, or is found by the police or investigating authority to have been driving in a dangerous or negligent manner. In all such instances, Apollo reserves the right to pursue full recovery from the renter. All credit card payments that you make locally at the rental company depot are made in New Zealand Dollars. These fees are non-refundable and also apply on top of the deposit. Where speeding tickets and toll way or parking fines and/or accidents (e.g. 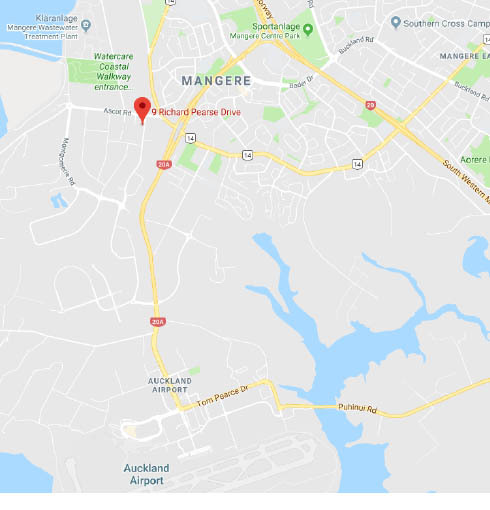 that have not been mentioned to the rental company) come to light the rental company reserves the right to invoice the customer for these costs in arrears as well as a processing fee of NZ$ 75 and charged on the credit card. If you booked the All Inclusive Option with Motorhome Bookers in advance and the rental vehicle is returned in the same condition and without damage as it was at pick-up the credit card fees for Visa and Mastercard will be reimbursed. Where speeding tickets and toll way or parking fines and/or accidents (e.g. that have not been mentioned to the rental company) come to light the rental company reserves the right to invoice the customer for these costs in arrears. It is compulsory to have a valid national driving licence in order to be allowed to drive in New Zealand. If your national licence does not include the relevant details in English, an international driving licence will also be required along with your national licence. An accredited English translation will be accepted in lieu of an international driving permit. Photocopies are not accepted. Every driver is required to have held a valid and full driving licence for at least 2 years prior to the pick-up date. The driving licence must be valid for the whole length of the rental. It is a legal requirement in New Zealand - in the case of a random police check- that any renter who possesses a national driving licence in any other language other than English is also able to present either an international driving licence or an officially authorised English translation of their licence. This must be presented along with the national licence and one is not valid without the other. The minimum age for the renter and other registered drivers is 21 years. All drivers are required to have held a full and valid driving licence for at least 2 years and to be present at pick-up time. All drivers have to be registered in the rental agreement. To be allowed to collect your vehicle you are required to present a valid driving licence, credit card, your passport as well as the Motorhome Bookers voucher at the depot. Any rental that consists of 3 or more vehicles travelling together is considered a group booking and has to be requested with Apollo in advance. Please contact us directly if you wish to book more than 2 vehicles for the same time period. A First-Aid kit is provided in every vehicle. If the seal is opened and you use it the kit becomes your property and NZ$ 50 will be charged for it at drop-off. The following optional extras are not included in the standard rental rates and can be rented at the depot at pick-up time (pending availability). It is recommended that you reserve these items in advance with your booking:. *Drop & Go Service: Bookable and payable locally for clients who want a quicker vehicle return and do not want to clean the vehicle. This service includes: interior and exterior cleaning of the vehicle, emptying of garbage and fridge, conversion of beds to dinettes. Please note that the toilets and waste water tanks must nevertheless be emptied. The gas cylinder can then be returned empty when you drop off the vehicle. Baby and booster seats are compulsory in New Zealand for children up to 7 years of age or weighing up to 26 kg. Only Apollo's 4-berth and 6-berth motorhomes allow for child seats or booster seats. The Hitop and Euro Tourer do not allow for baby or booster seats. Baby seats for children between 6 months and 4 years old and child seats for children aged between 4 - 7 years and/or 14 - 26 kg in weight are available to rent for NZ$ 35 per seat/hire. If you book the All-Inclusive Option with us the seats are included in the price (pending availability). If required, please provide us with the age(s) and weight(s) of your child(ren) when you make your booking so that we can book the appropriate seat for your children. These seats must be booked in advance. If you have a baby between 0 to 6 months of age you can not rent a vehicle from Apollo as they do not allow Baby Capsules to be fitted to any of their vehicles. Booster seats are required to be fastened in the living area only - never in the driver's area. They can only be fastened to seats with in turn are attached directly to the vehicle chassis. Fastening one of these seats to the shell of the vehicle (as is normally the case with the middle seats in the driver's area) is not permitted. Some baby/booster seats are not permitted in these motorhomes (e.g. certain European child seats) because they do not come with the appropriate anchor point. All vehicles are permitted only for use on sealed public roads and driveways. The only exceptions to this rule are those few roads that remain unsealed on the access routes to ski fields or approved roads - including those that are unsealed - leading to campground locations that are no longer than 12 km. There is no insurance cover if you drive on unsealed terrain or in restricted regions and you will be fully liable for any damage incurred. The renter is liable for any damage that is incurred on such terrain or restricted roads or routes, including costs for breakdowns, towing or vehicle recovery and no insurance cover is provided in such cases whatsoever. The vehicle is also not allowed to come in contact with salt water, otherwise the insurance cover will also be null and void. Skippers Road (Queenstown), The Crown Range Road/ Cardrona Valley Road from Cardrona to Arrow Junction (Queenstown), Ninety Mile Beach (Northland), Ball Hut Road (Mt. Cook), roads north of Colville Township (Coromandel Peninsula). If you drive to/in any of these areas, there will be no insurance cover and you will bear full liability for any costs incurred. Apollo reserves the right to restrict vehicle movements in certain areas due to adverse road or weather conditions and the distance between nominated destinations in relation to the lenght of the rental period. One-way rentals (= vehicle collection at depot 'A' and return at depot 'B') are allowed between both depots in New Zealand and for all vehicle categories if booked in advance. Please see the section 'Additional Costs' above for one-way fees. Please find the detailed depot addresses in the section 'Rental Depots'. All depots are open daily from 0800 to 1600hrs. They are closed on Christmas day, New Years day and Good Friday. You can pick up your vehicle at the booked depot at any time during the opening hours, but no later than 30 minutes prior to closing time. You can only drop off your rental vehicle at the booked depot during opening hours, but no later than 30 minutes prior to closing time. If the vehicle is returned earlier than agreed no refund will be provided. If it is not returned to the agreed depot, at the agreed time the rental company will charge appropriate fees. You can only extend the hire with prior approval from the rental company at the standard rates. This rate is normally higher than the Motorhome Bookers rates and is payable immediately locally by credit card (via the phone or at an Apollo rental depot), not at drop-off time. If it is returned later than the agreed drop-off date without Apollo being made aware of the extension the renter will be charged at a higher rate for those days (double the daily rate and if the depot is not the agreed drop-off location further transportation fees will be charged). You can also only change the drop-off depot with prior approval from the rental company. Otherwise, one-way fees as well as additional surcharges of at least NZ$ 750 will apply. 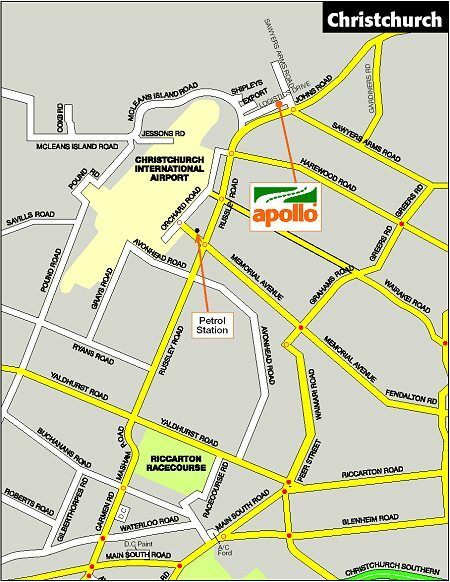 Apollo provides one free transfer from the airport and one transfer from the depot. Please advise us of your flight arrival details before you travel. -In Auckland: Apollo does not run their own Transfer Service, but will use THE YELLOW BUS. Transfer from the airport to the rental depot is available between 0800hrs and 1600hrs. From the rental depot to the airport between 0800hrs and 1630hrs. When arriving at Auckland Airports please make your way to the THE YELLOW BUS shuttle area. paved island to the bus stop. The bus stop is sign posted for Yellow Bus, Park & Ride, 380 and Inter City services. You will also see the Yellow Bus ticket machines in this location. Domestic Arrivals: If arriving at the Domestic Airport, leave through Door #4 and wait by the pedestrian crossing – the bus stop is sign posted for Yellow Bus, Park & Ride and Free Terminal Transfer. You will see the Yellow Bus ticket machines in this location. To receive your complimentary transfer, please show the Yellow Bus driver a printed contract or email confirmation of your camper booking. -In Christchurch: Transfer is available between 0800hrs and 1600hrs. Please advise us of your flight arrival details before you travel and contact the depot directly when you have landed in Christchurch after your luggage collection on phone number 0800 113 131 to arrange an exact meeting point with the Apollo staff. The rental company reserves the right to charge a fee of up to NZ$ 500 if the interior of any returned vehicle is extremely dirty. Toilets and waste water tanks (if the vehicle is equipped with these) must be completely emptied, petrol or diesel tanks must be full, otherwise a further fee of NZ$ 150 will be charged. All vehicles must be completely free of mud. Smoking is not permitted in any of the vehicles or a cleaning & deodorising process will be necessary at a fee of up to NZ$ 300. The propane gas bottle (LPG) does not have to be full and can be brought back empty as long as the fee for this has already been paid. (see section 'Vehicle Equipment' / 'Extras' below). For any details on post-hire cleaning (Drop & Go Service) please see section 'Vehicle Equipment' / 'Extras'. In the event of an accident, breakdown, technical difficulties or other such problems you are required to inform the rental company immediately and within no more than 24 hours (including for flat tyres). A nationwide network of contracted mechanics are available in such cases. In addition, Apollo has a free emergency phone service which is available 24 hours a day, every day of the week. All Apollo vehicles are also registered with the New Zealand Automobile Association. Small repairs or expenses for the upkeep of the vehicle up to NZ$ 100 can be carried out without prior communication with the rental company and will be reimbursed to you at vehicle drop-off time. For repairs that will cost more than NZ$ 100 you are required to inform the rental company before repairs take place in order to obtain their approval to proceed. Expenses will only be reimbursed upon presentation of a receipt. Pets (dogs only) are allowed in the vehicles with prior and written notice for a fee of NZ$ 200. Service dogs are allowed without any costs. Smoking is not permitted in any of the vehicles or a cleaning & deodorising process will be necessary at a fee of up to NZ$ 300. If you are planning to take the ferry between the North and South Island (in either direction) in the months between October and March you should make a reservation. If you hire an Apollo Euro Camper, Euro Star or Euro Deluxe, we recommend booking a ferry based on a 7.7m in length vehicle. The ferry crossing takes approx. 3 hours and is an enjoyable experience. You can find detailed information including on how to book it directly on the internet by visiting the Interislander website.